And So the GC’s Continue…. Sounds like a soap opera title, doesn’t it? There ARE some commonalities actually – conflict and tension, among them. God is trying to batter down my walls and door about my need to control…about surrendering to Him. And I’m feeling battered. I woke up this a.m. with so many thoughts running through my head about this – God was trying to show me how so many things – my lack of trust (not only of Him but others), my fear of the unknown, my worry and anxiety, my fear of being betrayed so I keep thoughts to myself (that was kinda hidden in the corners of my mind because good grief, I certainly pour it out in my writing), my dislike of chaos, my attempt to keep a tight rein on everything, etc. – are all tied together with sin – the original sin and my own. This particular sin laid out in lots of my previous posts – especially the last couple of weeks – about the above issues. Near identical wording. Interesting, is it not? I knew I had to investigate this further. Now the reason this is important to see is that it shows us more clearly what is meant by “desire.” When 4:7 says that sin is crouching at the door of Cain’s heart (like a lion, Genesis 49:9) and that it’s desire is for him, it means that sin wants to overpower him. It wants to defeat him and subdue him and make him the slave of sin. Now when we go back to 3:16 we should probably see the same meaning in the sinful desire of woman. When it says, “Your desire shall be for your husband,” it means that when sin has the upper hand in woman she will desire to overpower or subdue or exploit man. And when sin has the upper hand in man he will respond in like manner and with his strength subdue her, or rule over her. It’s a CONTROL ISSUE!!!! Eve’s sin was that she didn’t submit to God’s command but took control. And it seems to indicate that there would be struggles for control from then on. 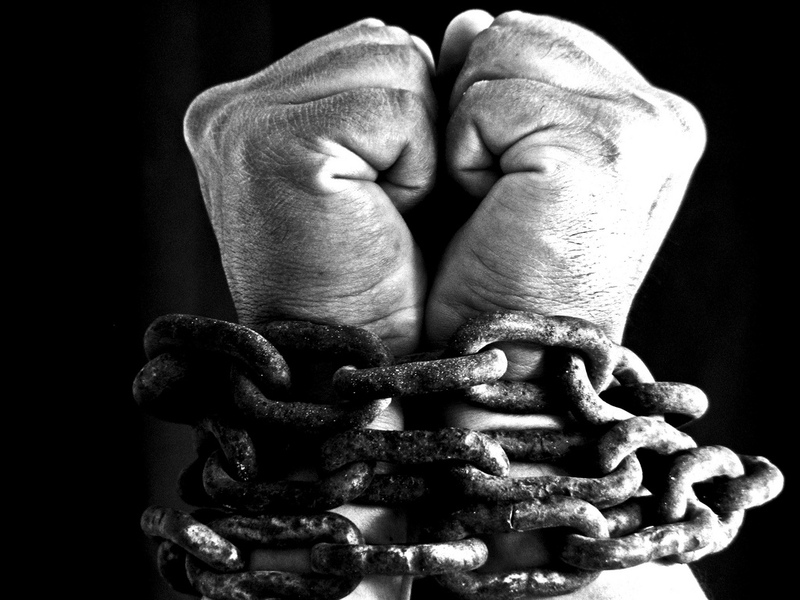 Self-exaltation, self-sufficiency, and pride always result in the desire to dominate and rule and control. The opposite of submission. That’s right…..I blame it all on Eve. Well, Adam did, didn’t he? And she blamed it on the serpent…. THEN later I read what D.A. Carson said in his book The God Who Is There – Finding Your Place in God’s Story comparing the two verses: “The tentacles of rebellion against God corrodes all relationships.” Definitely our relationship with God. My devotional this morning is ANOTHER GC! Maybe God battered down Jeremiah’s walls, too. When it rains, it pours. GC’s that is. I always wonder why God doesn’t just give up on me. But He doesn’t..He just keeps pursuing me. Knocking on the door. Patiently waiting for me to get it…..My former pastor always called Him the “Hound Of Heaven.” Well, I’m TRYING to raise my white flag…. Traditionally, the white flag has been a symbol of peace or ceasefire. In a battle, usually the weaker party raises the white flag as a means of requesting negotiation or surrender. In the rules of war, the person approaching with the white flag is not to be fired upon nor is he to fire on anyone else. It is a symbol of surrender. To surrender is to give up or yield to the power of another. To wave your flag means you have left all your armor and protection behind. In essence, you lose and the other person wins. It is that simple. Jesus tells the crowd that to be His follower they will need to pick up their crosses daily. It is a symbol of surrender. In those days, many Galileans died at the hands of the Romans by carrying their cross up to where they were to be crucified. They lost; the Romans won. Jesus told the crowd that to follow Him, they must surrender. Jesus asks us to do the same today. We need to daily lift our cross. In doing so, we cannot hold tightly to our lives, jobs, money, identity, control, or our hearts. Why? In the words of Jesus, in surrendering to Him, we lose them. In the world’s view this is backwards. The world says, “Fight to the end, come out on top!” Jesus says give up, surrender to me, leave your armor behind. Trust me with your life, your worries, your money, your family, your heart, your job, and your identity. For believers, He wants us to understand that we are His. He wants us to know that we have purpose, His purpose. The Christian life does not promise comfort, but it does promise fulfillment. When you put up your white flag for Jesus, you must walk to Him with open arms. No hidden weapons or plans and agendas. When you wave your white flag, you relinquish your control. You lose, and Jesus wins. And when Jesus wins in your life, this is where you actually find true victory. In connection with my previous post – God’s Way or My Own Way. Along with reading the Chronological Bible, I am reading a book called The God Who Is There – Finding Your Place in God’s Story by D.A. Carson. It basically walks you through the Bible and expounds or “unpacks” the story. The foundation of the Bible. I found this book by accident (oh, really, Chrystal? By “accident?”) and it is proving to be a great companion to my Bible reading. Anyway, right after I published God’s Way or My Own Way, I was reading this book. Right before this section, it had been discussing how Genesis 1 and 2 fit into the whole Bible and into our lives. Hang on to your hats. What the Bible says about creation is what grounds the notion of human accountability and responsibility. Why should I obey God? If he wants to take me in directions that I do not like, who is he to tell me what to do? Surely I am free to choose the other gods or invent my own. I can belt out the popular song “I did it my way.” (ha! Isn’t that ironic?) Who is he to boss me around? I defy him. Unless he made me; unless he designed me. In that case, I owe him everything – life and breath and everything else, such that if I do not see it that way, then I am out of line with my Maker. I am out of line with the one who designed me and with what I am designed by God himself to be. I am fighting against myself as well as against the God who made me. (ahhh, remember my Wrestling post?!?) All of human accountability and responsibility before god is ground in the first instance in creation. He made us, and we owe him. If we do not recognize this simple truth, then, according to the Bible, that blindness is itself a mark of how alienated from him we are. It is for our good that we recognize it, not because he is the supreme bully but because without him, we would not even be here, and we will certainly have to give an account to him. That’s what I believe God tells us….and what He’s certainly been telling me for years. That He is going to accomplish His Will one way or the other. So why on earth would we…would I….want to choose the hard way? YOUR OWN WAY may be pride, anger, etc.. But whatever OUR OWN WAY is, the root of it is SELF-SUFFICIENCY and lack of trust. 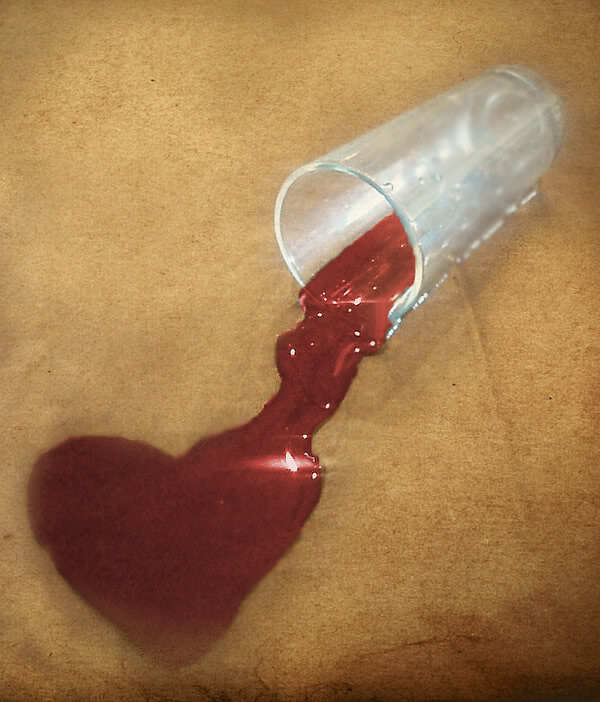 Of course for me, the hard way – MY WAY – is….drum roll please………. Yeah, you know it if you’ve read any of my posts…….Here comes the C-word and the T-word and even the F-WORD! Control and Trust and Fear. I’m sure you’ve heard the claim that 85 percent of what we worry about will never happen to us? According to this, there is absolutely nothing we can do about 10 percent of our worries, and that only the other 5 percent of our worries are legitimate. When we look at our worries in the light of these statistics, seems like most of our worrying is useless…. …..so again, I ask, WHY? Why would I choose the hard way, my way? Why would I worry so much about things unlikely to even happen?!?! 25 Therefore I tell you, do not worry about your life, what you will eat or drink; or about your body, what you will wear. Is not life more than food, and the body more than clothes? 26 Look at the birds of the air; they do not sow or reap or store away in barns, and yet your heavenly Father feeds them. Are you not much more valuable than they? 27 Can any one of you by worrying add a single hour to your life? 28 “And why do you worry about clothes? See how the flowers of the field grow. They do not labor or spin. 29 Yet I tell you that not even Solomon in all his splendor was dressed like one of these. 30 If that is how God clothes the grass of the field, which is here today and tomorrow is thrown into the fire, will he not much more clothe you—you of little faith? 31 So do not worry, saying, ‘What shall we eat?’ or ‘What shall we drink?’ or ‘What shall we wear?’ 32 For the pagans run after all these things, and your heavenly Father knows that you need them. 33 But seek first his kingdom and his righteousness, and all these things will be given to you as well. 34 Therefore do not worry about tomorrow, for tomorrow will worry about itself. Each day has enough trouble of its own. I need to stop trying to be self-sufficient and depend wholly on my Father. I need to be vulnerable, humble and open like a child. I need to relax in His Arms, in His provision, in Love, and in His Goodness. I need to cry out Abba, Daddy, and let Him take over. To let go of my need to control. I need an Inside-Out change. The decision to trust God or to carry the worries of the world yourself is up to you. Either road you decide to take requires an action decision on your part. One road leads to fulfillment and peace, the other road leads to frustration and anxiety. By all means choose the road called trust! God’s Word has never been proven wrong. Either road you decide to take requires an action decision on your part. We CHOOSE! 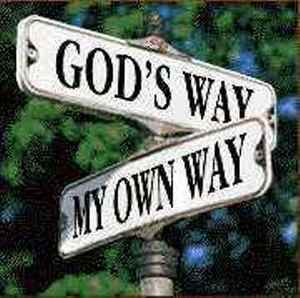 We can either take God’s Way or our own way – the easy way or the hard way…. 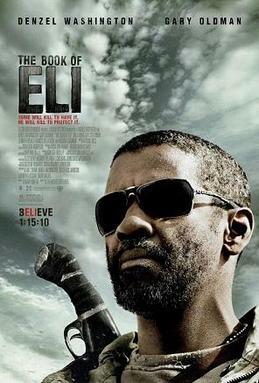 No, the Book of Eli is NOT a newly discovered “lost” or apocryphal book of the Bible but a dark, rather violent, post-apocalyptic movie starring Denzel Washington that is actually very intriguing. It certainly is not a Christian movie…it was not intended to be a Christian move….but it still had a few messages in it for us. It is about Eli, who has been traveling west on a mission for 30 years, and the Book he reads every night and does whatever is necessary to guard and protect it. WHATEVER is necessary. If you can take the violence, and the language, etc. in this movie, it really has some compelling moments and messages. Warning: Spoiler Alert! If you’d like to watch the movie and do NOT want the plot/action to be revealed, then don’t read any further. Solara: And you did all this because a voice told you to? Solara: You know, you say you’ve been walking for thirty years, right? Solara: Have you ever thought that maybe you were lost? Solara: Well, how do you know that you’re walking in the right direction? Solara: [sighs] What does that mean? Solara: That doesn’t make any sense. Solara: Do you really read the same book everyday? During his travels, he comes across the villain of the story, Carnegie, a man who has an agenda of his own – to rule others. Carnegie is looking for a Book. A certain Book that he believes is very powerful. He says, “I grew up with that book, I know its power.” And “This is not just a book, it’s a weapon aimed at the hearts and minds of the weak and desperate. It will give us control.” Too bad Carnegie didn’t understand the REAL POWER of the Book. Too bad that a lot of people do not understand its power. Of course, Carnegie finds out that Eli has a Bible and thus begins the fight for possession of it. This, of course, involves more violence…and involves Solara. Eli: Stay on the path. It’s not your concern. Stay on the path. It’s not your concern. However, when the bad guys have captured him and Solara, he finally turns the Bible over to Carnegie to protect her. Solara: I didn’t think you’d ever give up the book. I thought it was too important to you. Eli: It was. I was carrying and reading it everyday. Got so caught up in protecting it, I forgot to live by what I’d learned from it. Eli: To do more for others than you do for yourself. Who said a dark, post-apocalyptic, violent, very secular movie couldn’t teach us anything? Lombardi: There’s a whole series of beautiful Mozart and Wagner records, in still very pristine condition. But, never a Bible. Until now. May I ask what condition it’s in? Eli: It’s beat up. But it will do the job. Eli: Write everything exactly as I say it. The first book of Moses, called Genesis. Chapter 1, verse 1. In the beginning God created the heaven and the earth. Eli: Verse 2. And the earth was without form, and void; and darkness was upon the face of the deep. And the Spirit of God moved upon the face of the waters. Eli: Verse 3. And God said, Let there be light: and there was light. Lombardi: [to his assistant] Could you get us some writing paper, please. Eli: A lot of it. A whole lot of it. Oh, and one last thing. When Carnegie opened the Bible he took from Eli…..it was in Braille. There was several foreshadowing moments about this. Now you tell me….What can we learn from the Book of Eli? 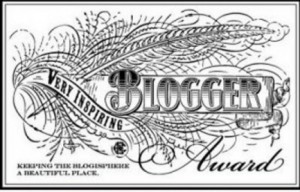 Terry at http://terry1954.wordpress.com/ nominated me as her 7th nomination “Because this blog is so inspirational to me.” Those words mean so much to me!! Coming from someone whose heart is so open, kind and inspirational! Thank you so much, Terry! You will find your Top Recent Commentor’s on your site stats page on the bottom, right corner. If you do not see this, click on the Screen Options in the top, right corner and be sure that “Comments” is checked. If you are good about responding to every comment, then you will be the first one in the list. 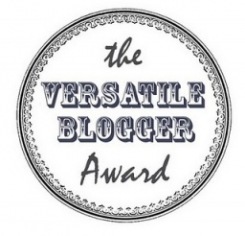 It is the next six commenter’s on the list that you will nominate and pass this award to. But wait! 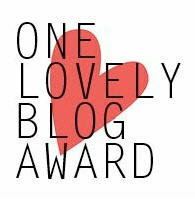 You may nominate one more person. This person can either be a brand new commenter on your blog, the very last comment you have received (most recent), or the one who has posted your most favourite comments. This seventh nomination is your choice, but please do tell us why you have chosen them as your seventh. These are the 6 people who comment the most on my posts. And my choice for number 7 is Juliana http://simplyjuliana.wordpress.com/ because we seem to be on the same track a lot. She always has something to say that is floating around in my mind. A few weeks ago I wrote about the Word. THE WORD. I was trying to explain what was simmering in my mind about the Word of God actually being THE WORD HIMSELF – the living Christ. And why the Bible speaks to us so intimately, timely and appropriately for our immediate situation…because it is a conversation with THE WORD HIMSELF. 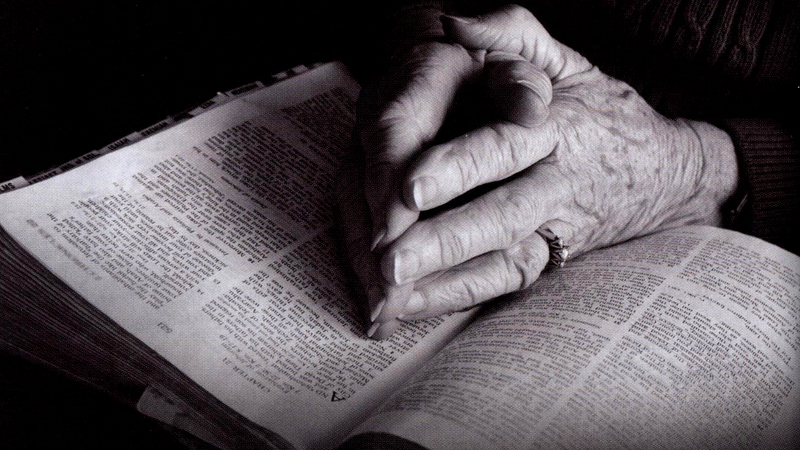 Of course, in order to have this timely conversation with God, that means we actually have to allow Him to talk to us….actually PICK UP the Word of God and open it and read it. Charles Stanley’s In Touch magazine this month is all about the Bible, titled “Transformed by the Word.” As usual, God gives me His GC’s so I will pay attention. He is talking to me and His timing is always perfect…. I read a story this morning from one of the articles that I want to share. It touched my heart. It excited me, just as God intended it to. It ignited my desire to have an even deeper conversation with Him. I’m ready to read through the entire Bible again with a fresh heart like the people below who heard the epic story. I’m supposed to at this time. 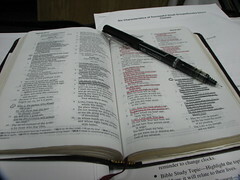 Just like my grandmother had started reading through the Bible AGAIN with her Sunday School the year she passed away. She’d like that. And so would He. A few decades ago, a group of linguists were welcomed by a community in Indonesia. The purpose was to live with the tribe, learn their language and create a written alphabet so the Bible could be translated. Considering the scope of the project (66 different books with 1189 chapters), the translators initially figured that following standard procedure would be the most logical: start with a gospel book from the New Testament and get straight to the story of Jesus as soon as possible. But as they gradually learned the new language’s nuances and the culture behind it, they came to realize how important elaborate oral storytelling was to the tribe’s identity. The plan changed. If ever there was an epic story to tell, it was this one. And the story of Christ didn’t just start with His birth. The process took days as they moved from character to character; the first people on earth who hid from God’ their son who killed his brother, Abraham, who climbed up a mountain to sacrifice Isaac; Moses, who led his people out of slavery; David the teenage shepherd who became a warrior king and legendary poet…The storytellers told of sin and loss and exile and God’s continual acts of redemption. And then they finally came to the end of Part 1 – 400 years of silence and waiting. The tribe hung on every word. Want to read the whole story with me? I’ll be reading the Chronological Bible.